Prince Harry’s father Prince Charles is the heir apparent to Queen Elizabeth II, making Harry the sixth in line of succession to the British throne. When Queen Elizabeth II’s reign ends, Prince Charles is next in line, followed by Harry’s brother Prince William and his children, Prince George, Princess Charlotte, and Prince Louis. Most likely, the only way that Prince Harry would take the throne is if any of the five ahead of him marry without consent from the sovereign. However, it’s possible, as King Edward VIII abdicated the throne when he chose to propose to Wallis Simpson, a twice-divorced American. 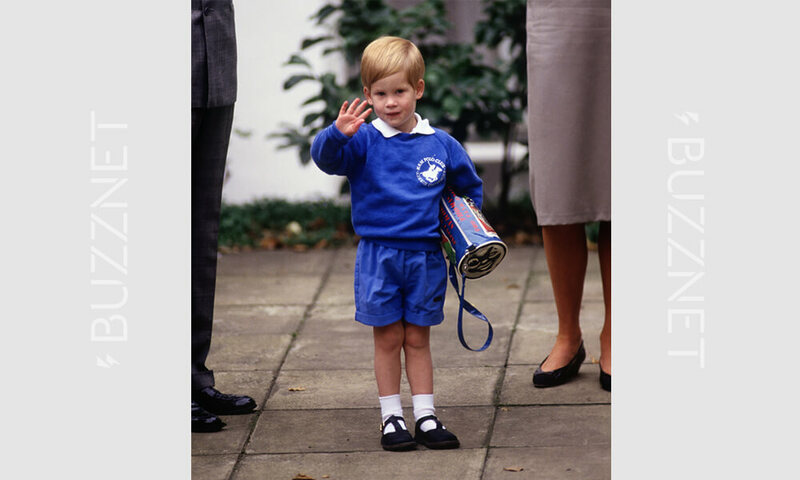 In September of 1987, young Prince Harry headed off to his first day of school at Mrs. Mynor’s nursery school in Notting Hill, London. Previously, it was tradition for royal children to be educated privately, with a tutor, and not attend school with other children. Queen Elizabeth II and her sister Margaret were the last members of the royal family to be educated at home. Prince Harry’s Father, Prince Charles, was the first British monarch or heir to the throne to receive a university degree. 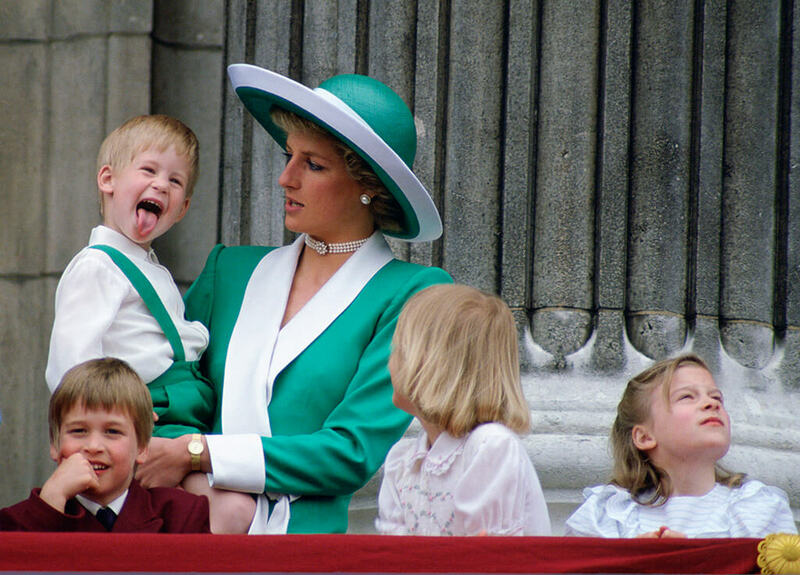 Nicknamed “The People’s Princess,” Diana didn’t want to lounge around Kensington Palace and stay on the royal grounds. She loved taking her two boys out to explore theme parks and eat fast food like typical kids. She also made sure Harry and his brother William had a well-rounded life, taking them to homeless shelters and AIDS clinics to understand people in need. No matter what they were doing, the three were tight-knit and almost always smiling or sharing a laugh. The chemistry and closeness between them was undeniable. 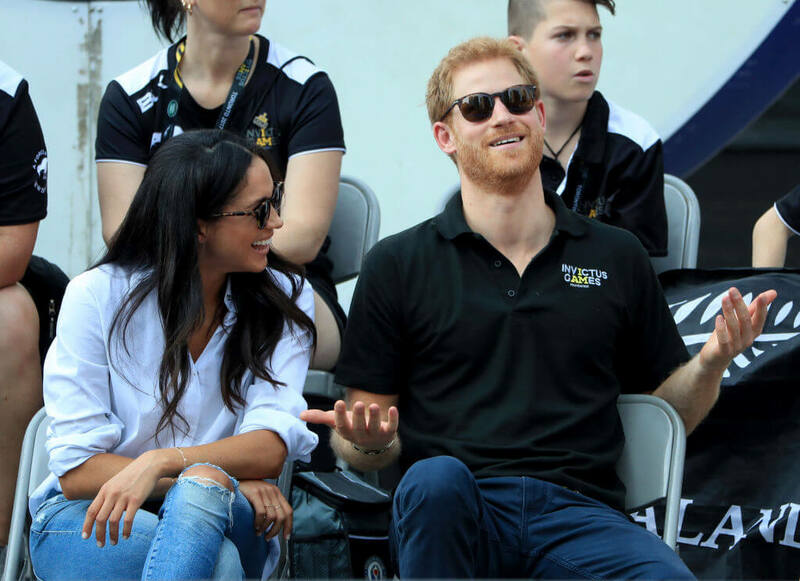 Having to go through your parents divorcing is hard enough, but Prince Harry had the whole world watching his parents’ split. Their problems created a mess, as allegations of infidelity on both sides was exposed in the media. Reporters uncovered leaked tapes of telephone conversations and a tell-all book about Diana written by Andrew Morton. 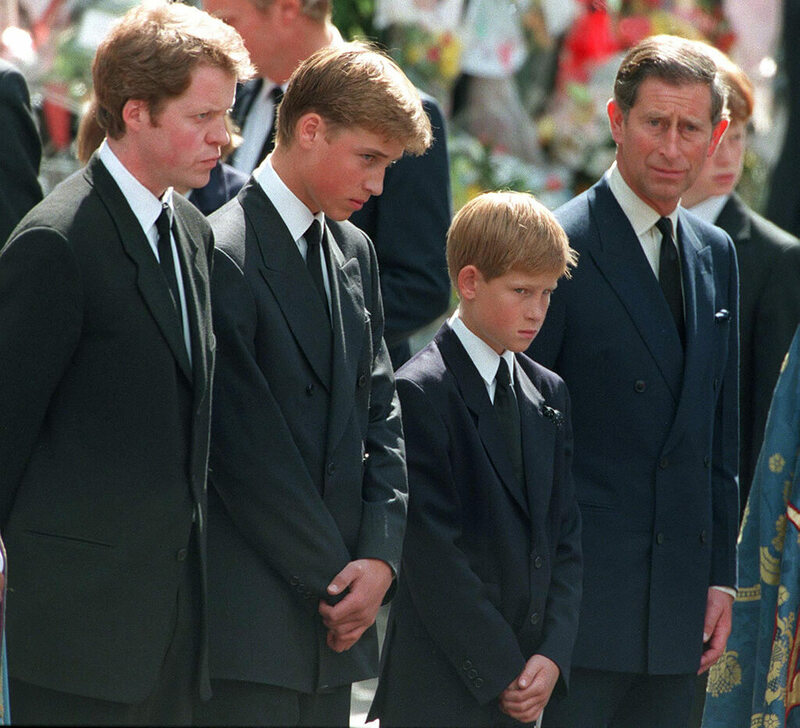 As if having his parents divorce wasn’t rough enough for Prince Harry as a young man, his mother Princess Diana was tragically killed in a car accident on August 31, 1997. Her funeral on September 6, 1997 was televised and 32.1 million people tuned in to watch and mourn the loss of life. Everyone knew it would happen, and then it finally did. 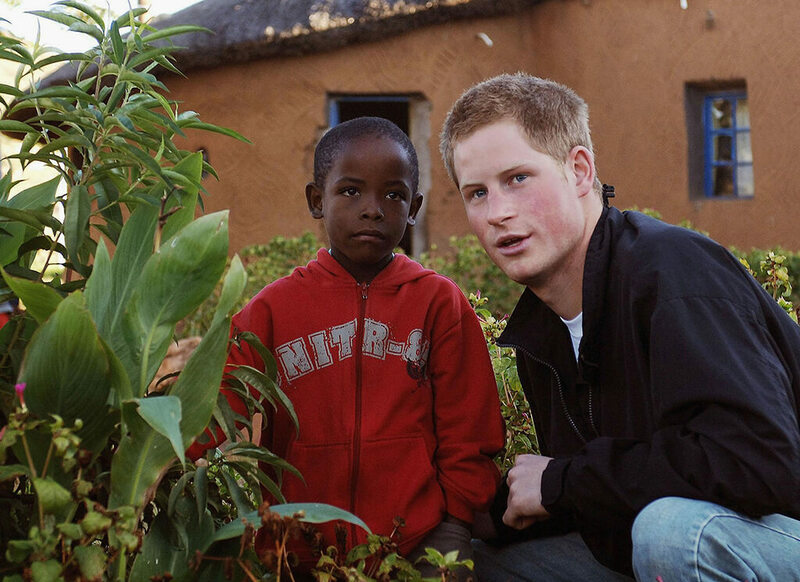 When Prince Harry reached his early teens, girls around the world went crazy for the redhead. At the time, Harry was an avid skier and loved spending time with farm animals. He took an early liking to horses and rode a Shetland pony by himself when he was just four years old. No matter where the family traveled (pictured here in Canada) Harry received tons of attention from the girls who would turn out for his appearances. Like many college students, Harry plastered photos of beautiful women in his dorm room, slacked off a bit in favor of a social life, and was introduced to marijuana. He did manage to graduate on time, although there were rumors his teachers helped him cheat on the exams. 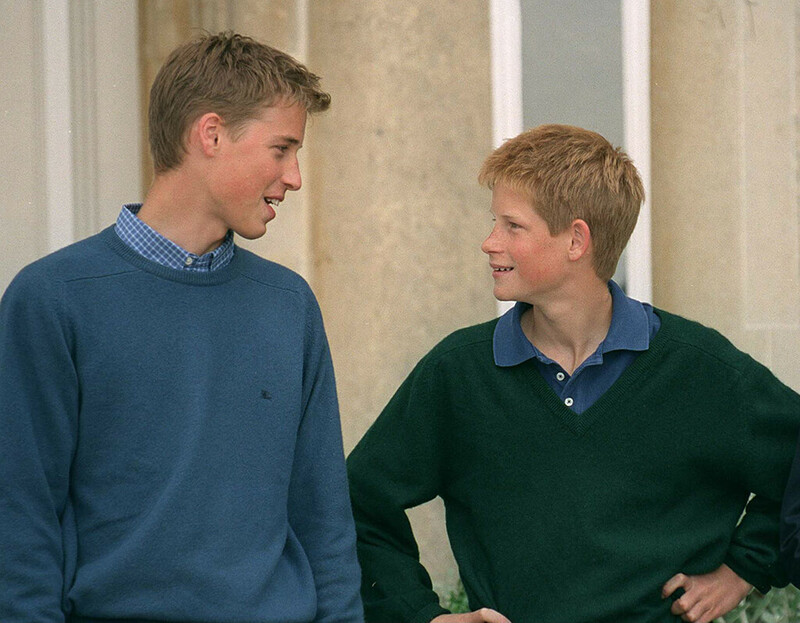 Pictured here in 1999, Prince William and Prince Charles have shared a strong bond since childhood. Beyond the typical bond between brothers, the two lead a very different lifestyle than most, and luckily have each other to share the experience with and support each other through thick and thin. 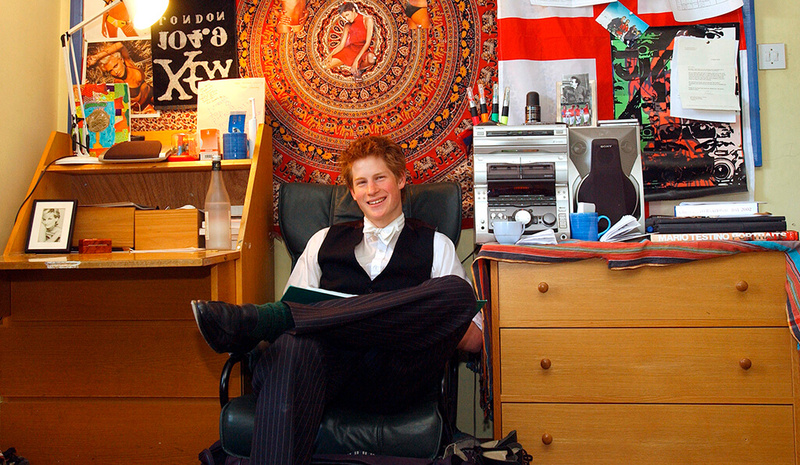 After graduating from Eton College in 2003, Harry decided to follow in his father’s footsteps and take a gap year in Australia, as Prince Charles had. 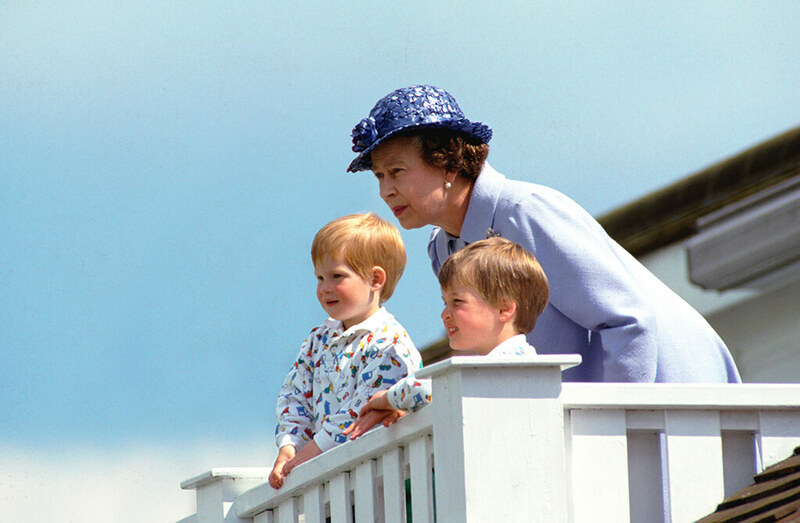 Prince Harry worked on a cattle farm and played polo, one of the family’s favorite things to do. 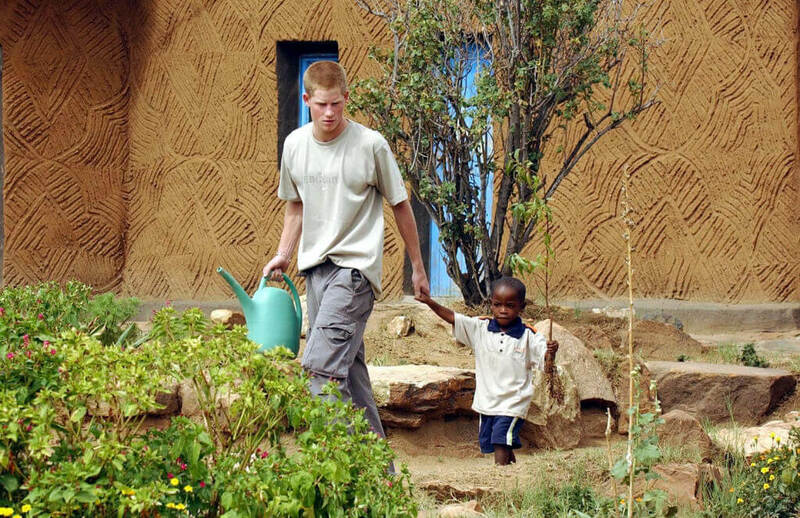 He also traveled to Lesotho to visit orphanages, carrying on Princess Diana’s humanitarian work. While he was there, Harry produced a documentary film titledThe Forgotten Kingdom and also launched a charity to aid children who were orphaned due to AIDS, another cause his mother was deeply passionate about. In 2004, Prince Harry met Chelsy Davy, who would become his first official girlfriend. Her father was a wealthy Kimbabwean landowner, and the two were often spotted showing a lot of PDA. While anyone who is closely tied to the royal family needs to meet protocol to an extent, their on-again-off-again relationship (that went on for six years!) wasn’t taken seriously. Their final breakup happened when Chelsy text him: “You’re dumped,” right after Prince William and Kate Middleton’s wedding in 2010. She believed he was kissing and flirting with other girls. And after witnessing the royal wedding first hand, she knew the royal life was not for her. Her expression at Harry and Meghan’s wedding launched 1,000 memes. 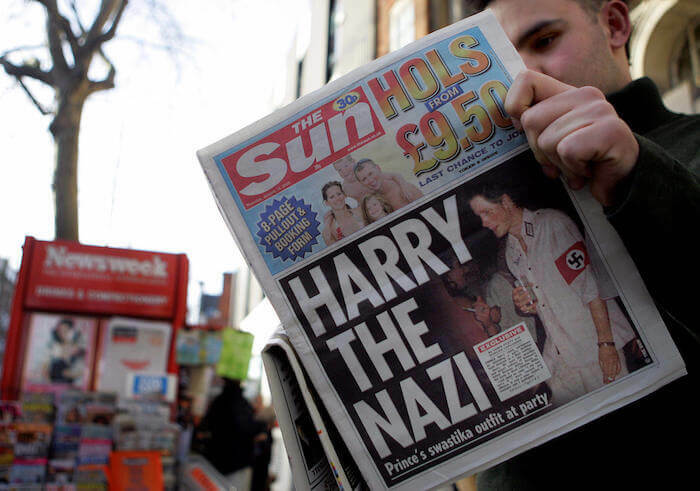 In January 2005 shocking photos of Prince Harry wearing a Nazi uniform to a costume party surfaced and immediately drew criticism in the UK and around the world. Making matters worse, he decided to wear the costume just before the arrival of the 60th anniversary of the liberation of Auschwitz. As he would do for other poor choices throughout his life, Harry apologized within days and fully owned up to his boneheaded decision.”I am very sorry if I caused any offense or embarrassment to anyone. It was a poor choice of costume and I apologize,” the Prince said. 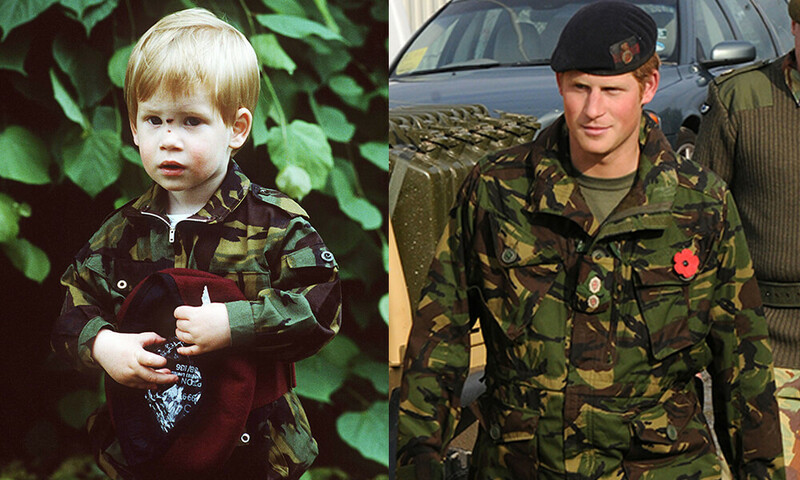 After taking a gap year, Prince Harry began his military career, which would span ten years. He began as an officer and worked his way up the rankings to become a squadron leader. Just a year into his service, it was announced that Harry’s unit would deploy to Iraq. So would he end up going? After all of the debate, the head of the British Army, General Sir Richard Dannatt, gave Prince Harry permission to deploy. However, the media’s frenzy on the issue reached overseas, and several groups in the Middle East made threats, targeting Prince Harry if he were spotted in Iraq. Dannatt changed his decision and sent Harry to Canada to train instead. 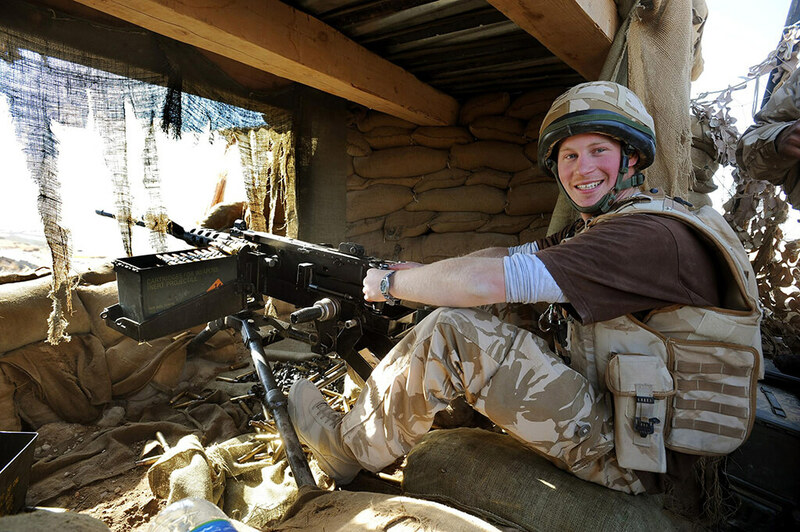 In February 2008, Prince Harry secretly deployed to Afghanistan, avoiding the media coverage and served as a Forward Air Controller to Helmand Province. He served in the war zone and helped Gurkha troops repel an attack from the Taliban. After completing his first deployment, Harry passed his exams to become an Apache attack helicopter pilot, and returned to Afghanistan for 20 weeks. 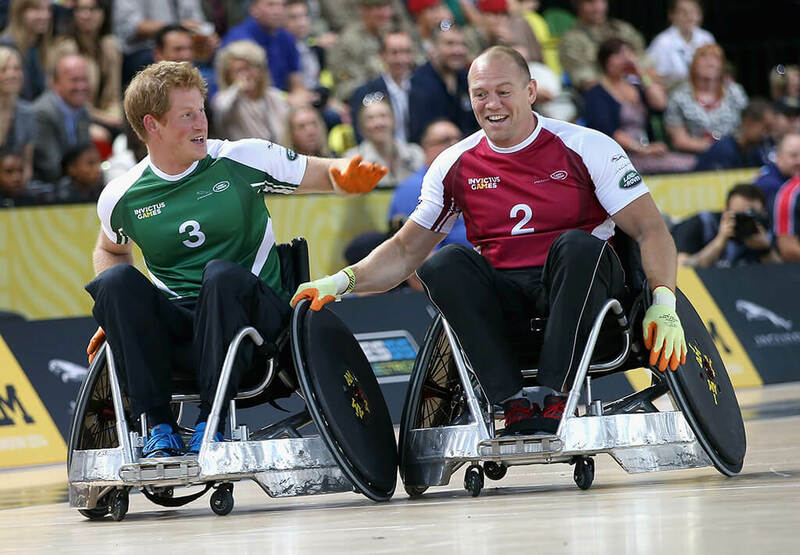 Inspired by the people he served alongside in the military, Prince Harry launched the Invictus Games. The paralympic-style sporting events shines a spotlight on veterans and wounded warriors, and raises awareness and funding for recovering veterans. In 2012, Prince Harry’s bachelor game was strong. He headed to Las Vegas with his mates and it got a little rowdy. While other people can go to Vegas and let off some steam, the royals are always being watched. Harry and his friends drank, danced, and hung around the pools. Later that night, almost in Hangover fashion, Harry met up with Olympic swimmer Ryan Lochte and challenged him to a swimming race, fully clothed, in the pool. Afterward he challenged his friends to a game of strip billiards. Harry must have lost, because a photo of himself in the buff appeared on the front page of tabloids soon after. We wouldn’t want to be around when the Queen found out! While Prince Harry doesn’t have a long list of serious girlfriends, he does have a long list of lady friends and make-out buddies. Apparently, he also has a thing for older women, who were swayed by his good looks, charm, and oh yeah… he’s a prince! The “royal rebel” has been photographed making out with British singer Ellie Goulding, Real Housewives’ Catherine Ommanney, and model Lauren Pope, to name a few. According to Popsugar, Ommanney was 34 years old at the time, while Prince Harry was just 21! There was one other girl he was serious about.. 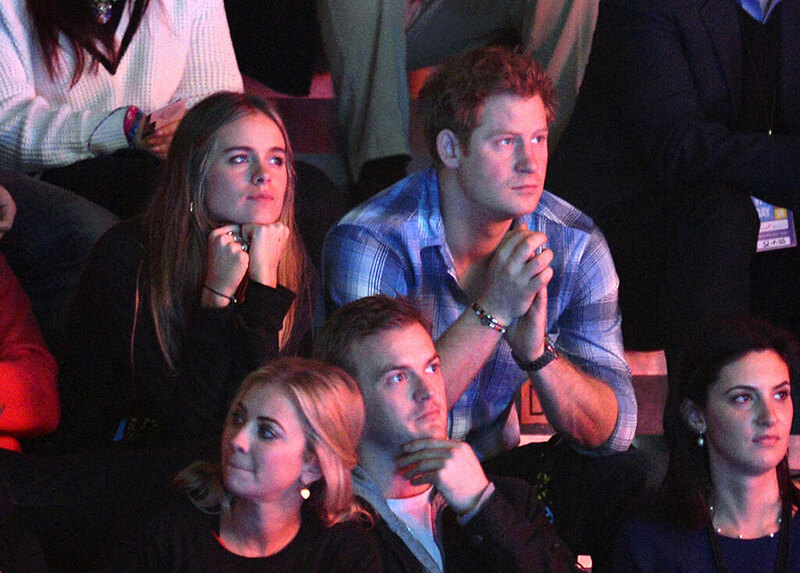 In 2012, Prince Harry began dating English actress and model Cressida Bonas. They were together for two years, and things looked to be getting serious. There were rumors that she would be the one that Prince Harry would propose to. However, Bonas didn’t want to give up her acting career, as she would have to if she married the Prince. Katie Nicholl, a Prince Harry biographer, told Newsweek,“She and Harry were very happy and were in love. But, I think, for Cressida, her ambitions were to become an actress, she hated being defined as Prince Harry’s girlfriend.” There are no bad feelings between them, and she was in attendance at Harry’s wedding. 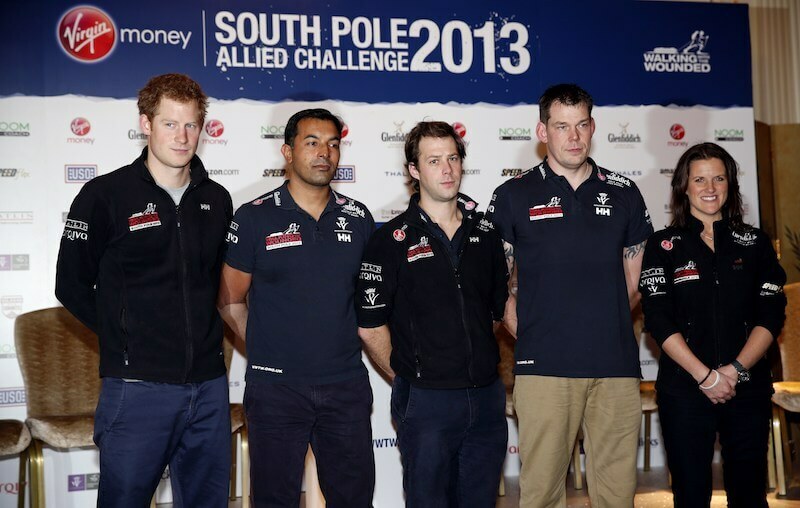 In 2013 Prince Harry took part in the Walking With The Wounded South Pole Allied Challenge. 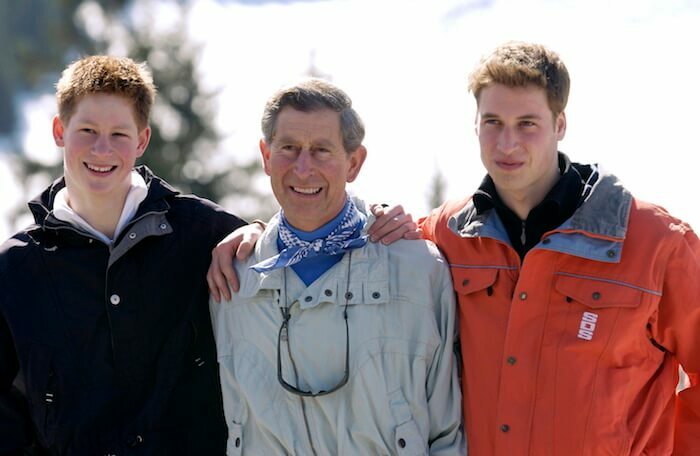 In completing the challenge Harry became the first member of the royal family to reach the South Pole. The journey included 12 injured servicemen and women who participated from the UK, the US, and Australia. Together, they traveled 200-miles on foot during a friendly international competition meant to showcase that vets injured in combat can still accomplish amazing feats of mental and physical strength. In June 2015 Prince Harry announced the end of his time serving in his country’s military. Despite his stature as a Prince, he spent a decade of his life training with and fighting beside his fellow soldiers. 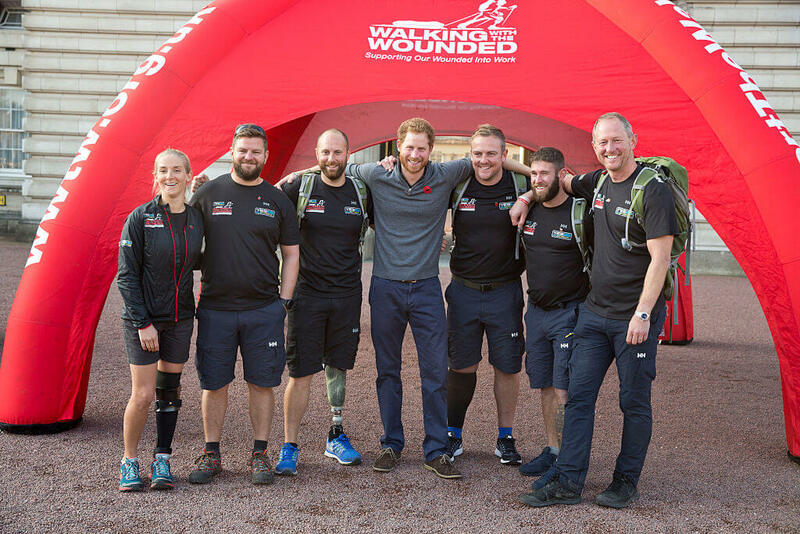 Only two months after he left the military, the Prince joined others in the “Walk of Britain.” To support awareness for wounded wounders he walked 1,000 miles from Aberdeen, Scotland to Buckingham Palace. 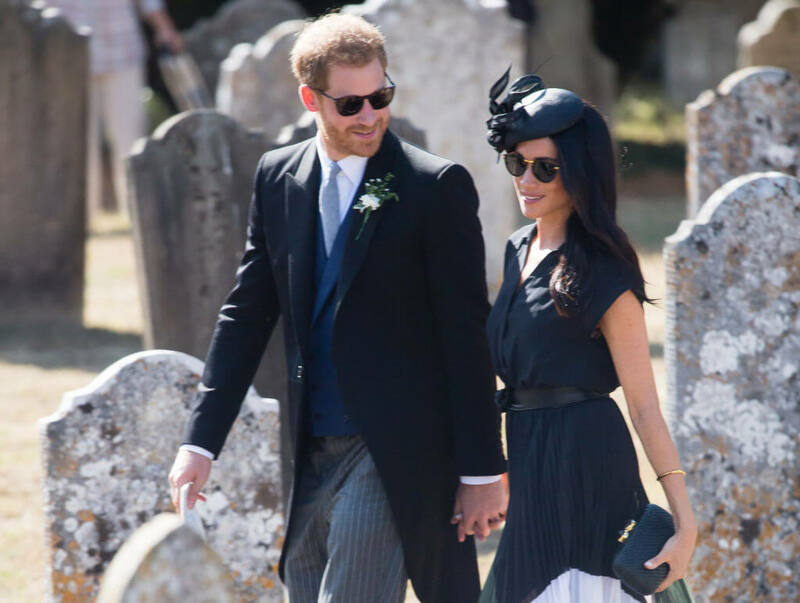 In 2016, a mutual friend of the two, Violet von Westenholz, set up Prince Harry and Meghan Markle on a blind date. The couple had an instant connection, and on November 8, 2016, Kensington Palace confirmed that they were in a relationship. Prince Harry was already protective over her, and asked that everyone stop the “abuse and harassment” that had been happening on social media. A little more than a year later, on November 27, 2017, the palace announced that the couple was engaged. Harry had gotten down on one knee while the two were cooking dinner together and formally proposed. 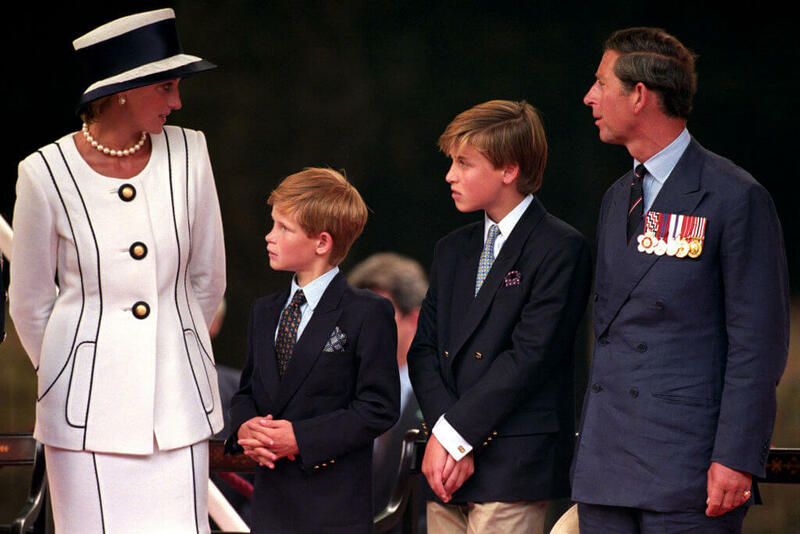 The ring features two diamonds from Princess Diana’s collection, making his mom a big part of the special moment. Meghan Markle was already famous before she and Prince Harry got together. She was a well-known American actress who starred in a popular TV series called Suits. Meghanalso managed a blog and had a clothing line of her own. She gave that all up on May 19, 2018 when she became Meghan, Duchess of Sussex. The world has been infatuated with the couple, and 18 million people watched the wedding televised live. Like Prince Harry, Meghan is passionate about charity and humanitarian work, and made history as she became the first mixed-race individual to join the royal family. When Will They Have Children? As always, lack of a confirmation doesn’t prevent the media from spinning the story, and suggesting that Meghan may be currently pregnant. 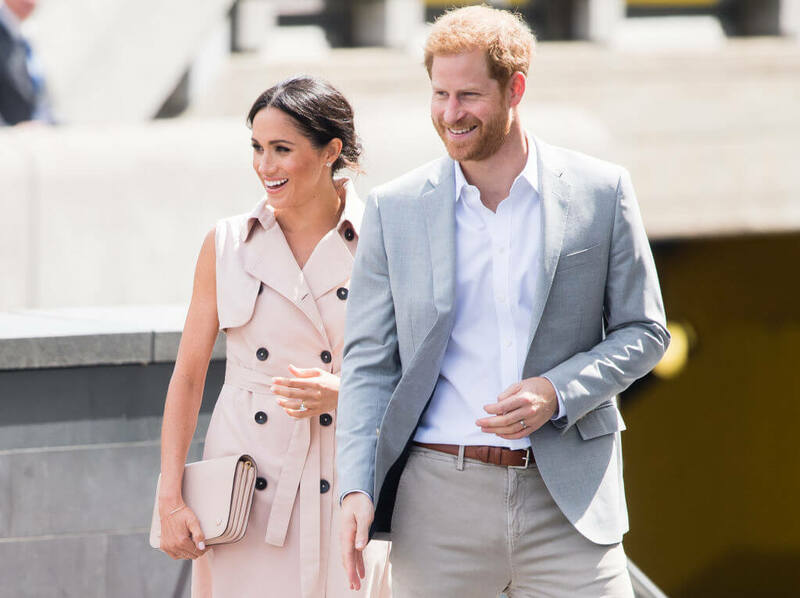 However, it appears that the couple is settling into married life and attending royal events together as the Duke and Duchess of Sussex. While he doesn’t yet have children of his own, Prince Harry has been an uncle since Prince William and Kate Middleton had their first child, Prince George, in July 2013. The more children that his brother and sister-in-law conceive, the further Prince Harry is away from the throne. He used to sit third, but since he now has two nephews and a niece, he sits sixth in line. Prince Harry describes his niece and nephews as “The most amazing things ever!” He’s also the godfather to many of his friends’ children and hopes to become a father himself one day. Kate Middleton, Duchess of Cambridge, began dating Prince William back in 2003. Prince Harry has also known her as long, as the brothers are very close. Harry has sweetly described Kate as, “the sister he never had” and calls her “Cath” (short for Catherine) when they’re not attending royal events. Four months after Meghan and Harry started dating, Harry introduced her to Kate. 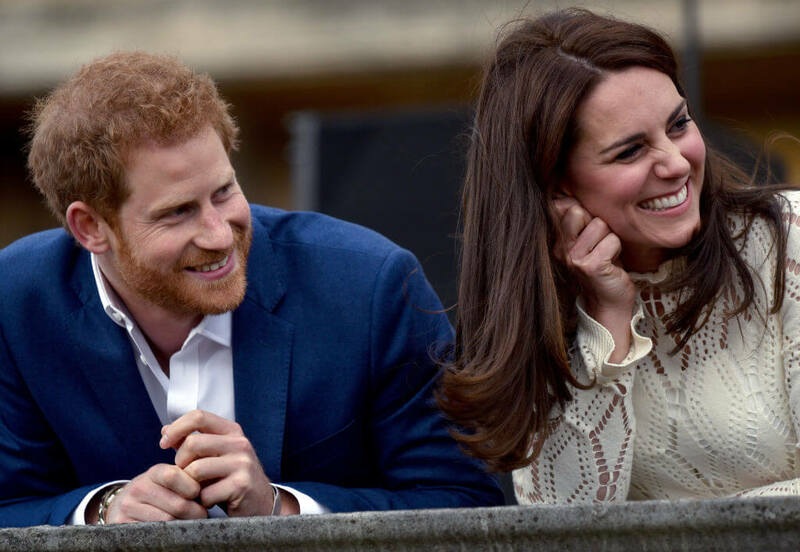 Royal insiders have said that Harry looks up to Kate as a mentor, and sought her approval before he proposed to Meghan. 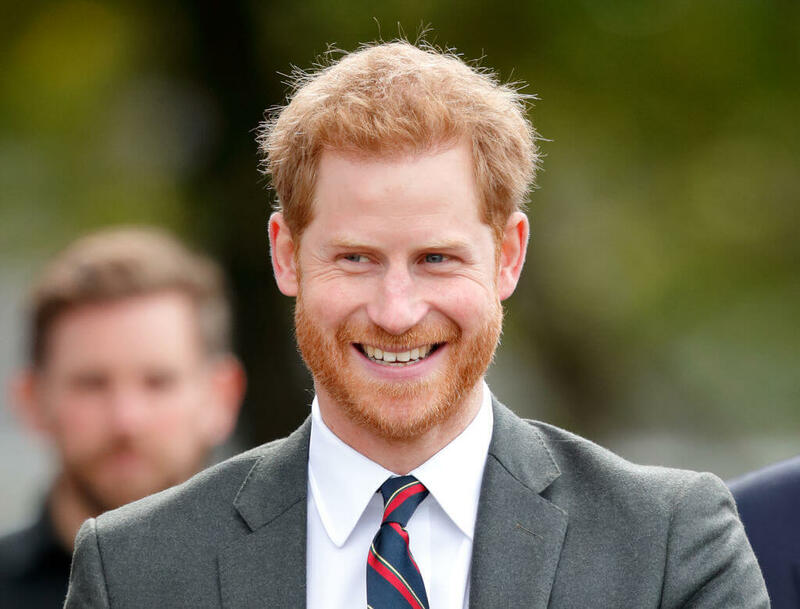 Prince Harry may have been born into a charmed life but that doesn’t mean he didn’t experience some of the same bumps and bruises as other children growing up. He was especially susceptible on the rugby field. The famous Prince has openly discussed how his teammates and opponents both took the opportunity to throw some extra hits his way while playing the sport. Harry has recalled how on several ocassions players piled on top of him even though he didn’t have the ball, inflicting minor injuries in the process. 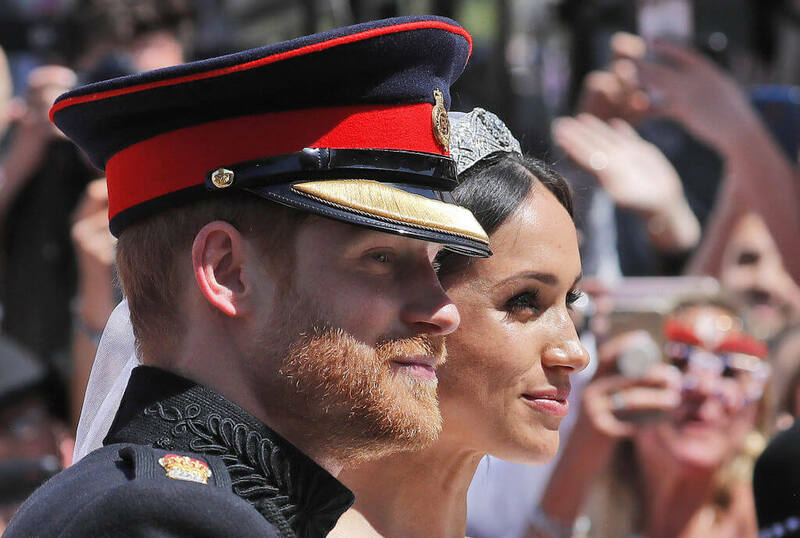 Prince Harry and Meghan Markle wed in an extravagant affair that was broadcast around the world. Fans of the Prince and the TV star were enthralled with the American actress marrying the British Prince. One of the most stunning parts of their wedding may have been one of Prince Harry’s most thoughtful moments. 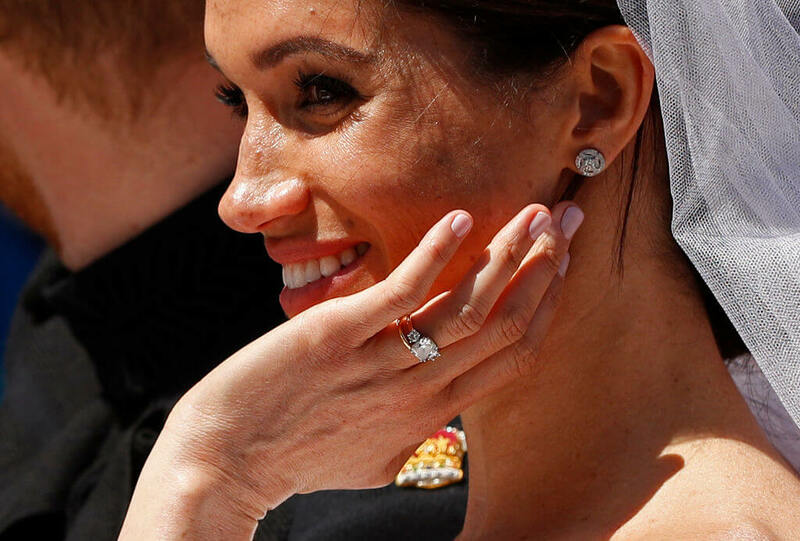 He gave Meghan an Engagement ring made by Cleave and Company that featured a large diamond from Botswana in the center which was surrounded by two smaller diamonds that belonged to his late mother Diana Princess of Wales! Even during his special moment he remembered his mom! He’s King Of The Grocery Store! Prince Harry has made it very clear that he wants to live somewhat of a normal life. He might still be followed around by elite guards tasked with protecting his life but that doesn’t mean he won’t do his own grocery shopping! During an interview with Newsweek the Prince said he tries to stay grounded and live a normal life which includes buying his own groceries. Harry admitted that even if he was the country’s King he would still step out and purchase his own food whenever possible. The life of a royal has many magical moments but there are also some heartbreaks that can really start to change a person. 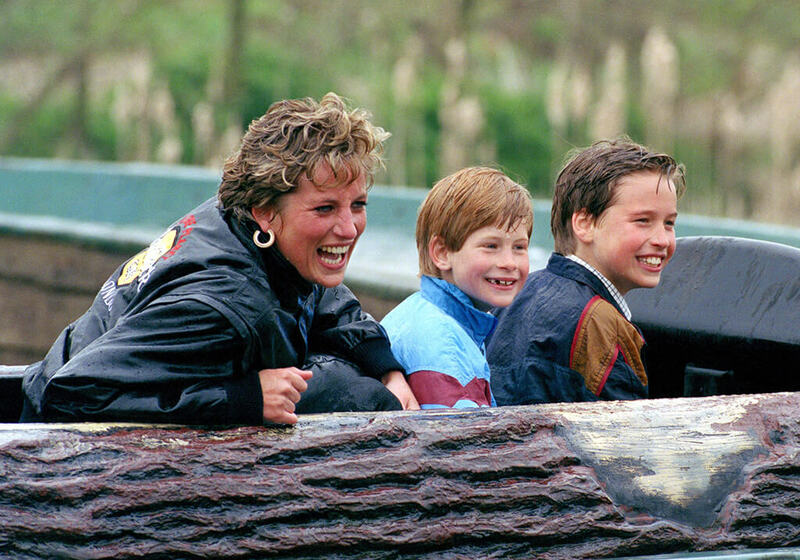 Prince Harry lost his mom at an early age and then tragedy struck in a similar way for one of his best friends. In 2009, Henry Van Straubenzee was killed in a car accident, just like Harry’s mother had died. Harry wanted to honor his good friend and agreed to serve as a patron of a charity set up in Straubenzee’s honor. His charitable work in general is truly inspiring. Harry doesn’t just support organizations for friends and people in places where he has visited. His giving nature has made him a patron in organizations that support everyone from veterans to orphans and the survivors of natural disasters. Harry is a patron for MapAction, an organization that helps aid agencies by providing crucial mapping following natural and humanitarian disasters. He’s also a patron of WellChild which supports seriously ill children and their families. 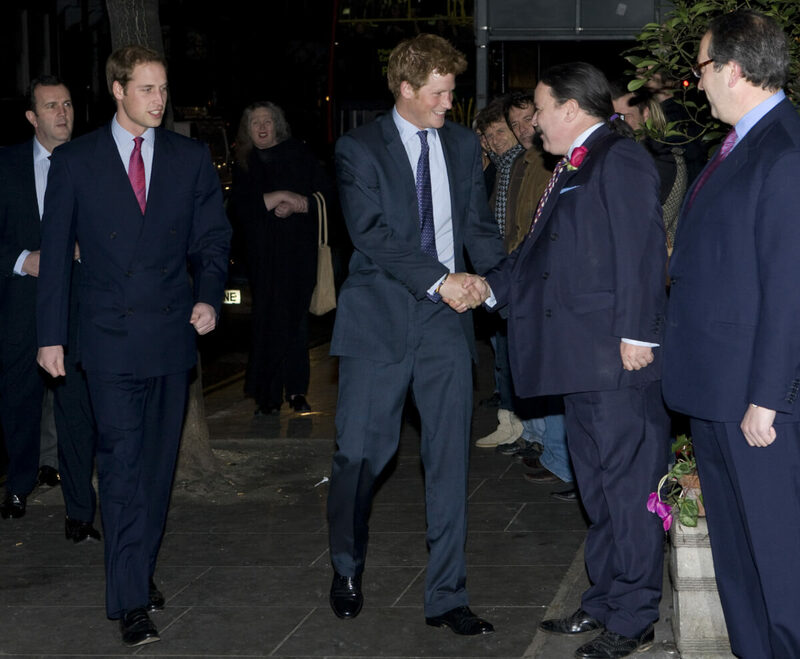 Harry also serves as vice patron of the Rugby Football Union and patron of the RFU’s Injured Players Foundation.